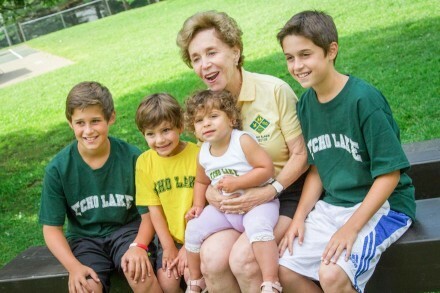 As summer approaches my life is punctuated by welcoming new parents and their children into our Echo Lake family. We have an evening of Q & A. We have a new camper picnic. There was a very successful bowling party for newbies, too. All of it is very carefully crafted, and I mean that in the best possible way. The wonderful families who have elected to join us experience the sense of community and commitment that is so deeply a part of what we stand for. And so it has been, in various permutations, for the 72 entire summers that I have been in residence. At this time in our lives and in our country the pleasures and treasures that characterize Echo Lake are particularly poignant and meaningful to me. While we see societal shifts that sometimes come at the expense of kindness and inclusiveness, at Echo Lake good virtues, acceptance and celebration of individual differences, as well as kindness and respect for all campers are our hallmark. The community is buttressed by our extraordinary staff who eat, drink, sleep and practice support of these themes in order for our boys and girls to thrive! And while we are standing strong we have the most extraordinary FUN doing it! It is that Indefinable Something (to coin a phrase) that draws families to want their terrific kids to grow old with us! We love it! No wonder that during the summer Echo Lake is absolutely and positively the place where I want to be for the rest of my life on this planet! How smart am I!! !